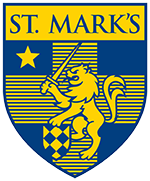 The purpose of the St. Mark’s STEM Conference is to broaden students’ understanding of the sciences and to promote passions for careers in the sciences by inviting educated, successful professionals to visit St. Mark’s. Four distinguished guests visited campus as part of the fourth annual STEM Conference, sharing their vast experience with students and giving firsthand accounts of the latest developments in science, technology, engineering, and math. St. Mark’s welcomed five industry-leading scientists and doctors to campus for the 2016 STEM Conference, celebrating careers in Science, Technology, Engineering, and Math. Three distinguished guests visited St. Mark's for the second annual Science, Technology, Engineering, and Math Conference. Four internationally recognized scientists spoke at the inaugural STEM Festival on Friday, October 25. Dr. Chess Stetson ’97 ~ CEO, Helynx, Inc.